There has been a lot of buzz recently about one-pagers. I decided to try it out in my classroom and my students had a BLAST! So, what is a one-pager? A one-pager is an activity/project the allows your students to respond to any reading or research in a creative way. They are so versatile and can be used as an in-unit activity, a formative, or even summative assessment. 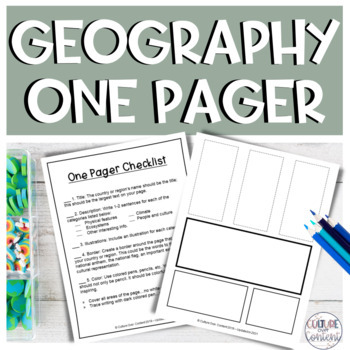 I teach middle school social studies and have used one-pagers for both geography and history, but they can be use in ANY content area. 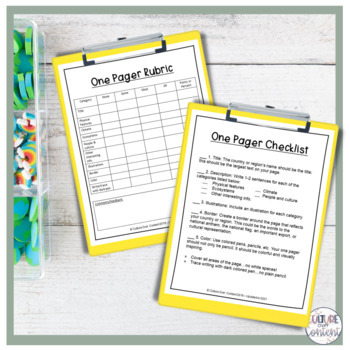 There is a checklist for students included in this product that was created for a geography class. My students each researched a country in South America and the results were amazing. I have included some examples from my students. 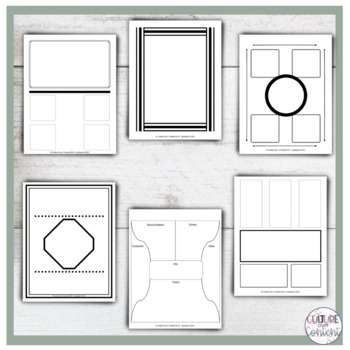 Templates are also included to help you level the playing field your students, as needed. 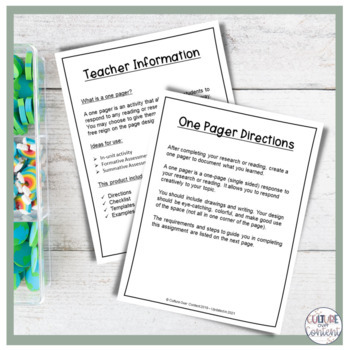 Be sure to check out my other geography products!